Try not to shower for too long or use water that's too hot. This can make dry skin worse. Don't forget to apply sunscreen behind your ears! Prevention is the best treatment. Wear sunscreen. Short, warm showers and mild soap can help. Follow best practices for skin care as recommended by a doctor. Dry skin (xerosis) may not be serious most of the time, but experiencing it is not comfortable. Not only that, lines or wrinkles could manifest, making your skin look older than it is. You can experience dryness anywhere on your body: the arms, face, and legs. And then there's behind the ears. You may not talk about it with friends, but dry skin behind your ears is nothing more than a common problem that many people face. It can also appear within the ear canal. You can readily self-treat if it is a result of environmental factors, but if it becomes serious or is persistent, you might need to see a doctor and get a diagnosis. There are many different kinds of dry skin. They can include red patches, patches with flakes or scales, or even areas that develop fissures that bleed. Below are some things that could be causing the dry skin, how you can treat at home, and what kind of medical treatment is available. There are also some general tips on keeping your skin in good condition. This is a condition of the skin which causes flaking or the formation of thick scales that frequently affect the face as well as the scalp. This is the same condition that causes dandruff when it occurs on the scalp. It can also cause dry skin behind the ears. Each person affected with seborrheic dermatitis can show different symptoms. It can be widespread on the body, affect two areas, or target a single area. Areas of the affected skin may feel sensitive, sore and itchy. Flaking skin may be bothersome or embarrassing for the individual affected (particularly when he is wearing dark clothes). Affected skin areas may appear red with greasy flakes. 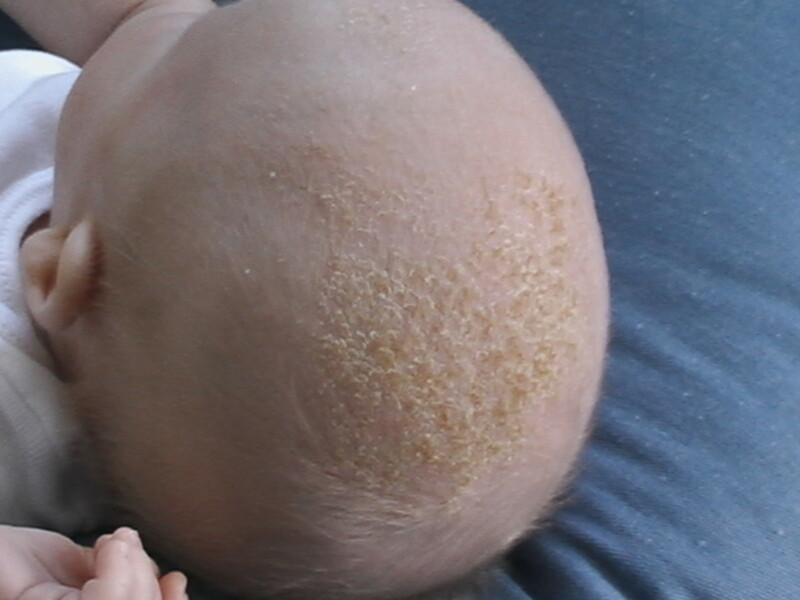 When this condition affects the scalp, it shows up as dandruff (flaky skin) or a rash that is red and scaly. On the face, seborrheic dermatitis usually targets the nose's and cheeks' creases as well as the inner eyebrows. In the case of seborrheic blepharitis, the affected eyelids may appear swollen, red and flaky. The areas in the chest's front or on the back around the shoulder blades may also become affected, where seborrheic dermatitis may be manifested as mild scaling with pink to red patches that may be round and well-defined. Skin folds may also be affected, especially the moist areas. The skin on the abdomen, in the groin, under the arms and under the breasts may be shiny and pink, and have a cracked surface. Individuals with darker skin may have seborrheic dermatitis-affected areas that look darker (hyper pigmented) or lighter (hypo pigmented) than the skin surrounding them. 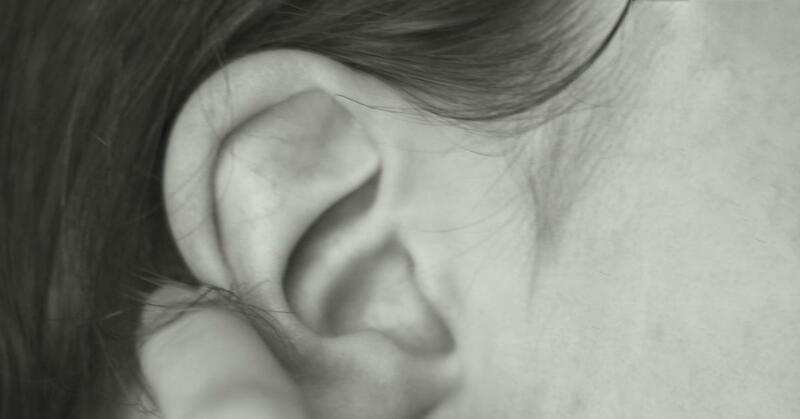 When this condition shows up around and in the ears, the affected individual can have inflammation behind the ears, in the ear’s cup, and inside the ear canal. Bacterial infection can cause the skin to crust. The exact cause for this condition is unknown. According to MedlinePlus, "Doctors think it may be due to a combination hormone levels, weakened immune system, lack of certain nutrients, or nervous system problems." Oil and yeast material that lives on the skin's surface create those dry, scaly patches that look moist or greasy up close. 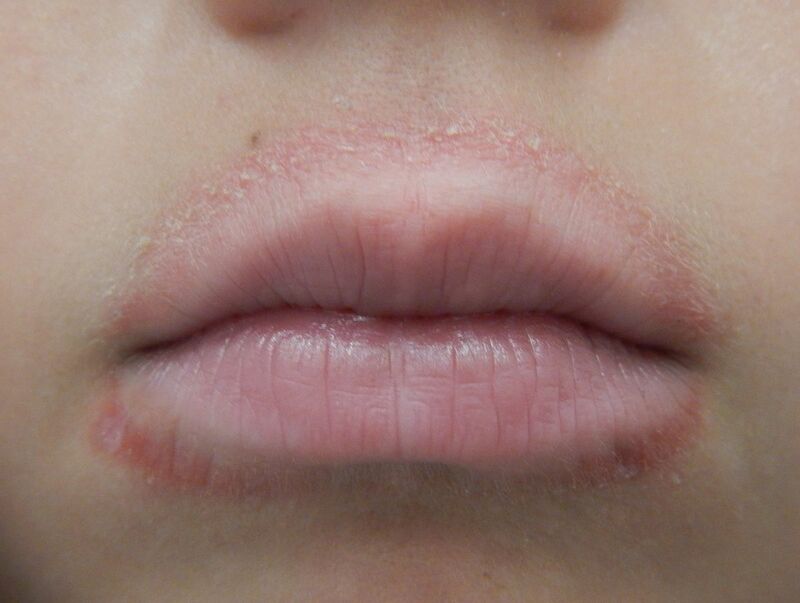 The affected skin areas could appear as yellowish to white. In some documented cases, the condition leads to itchiness in the ear canal or the ear itself. Seborrheic dermatitis could also be triggered by Malassezia (harmless yeast that inhabits the skin) overgrowth or the immune system's overreaction to Malassezia. No underlying illness is usually linked to this skin condition, although it may be severe in HIV-infected individuals and those with Parkinson's disease. 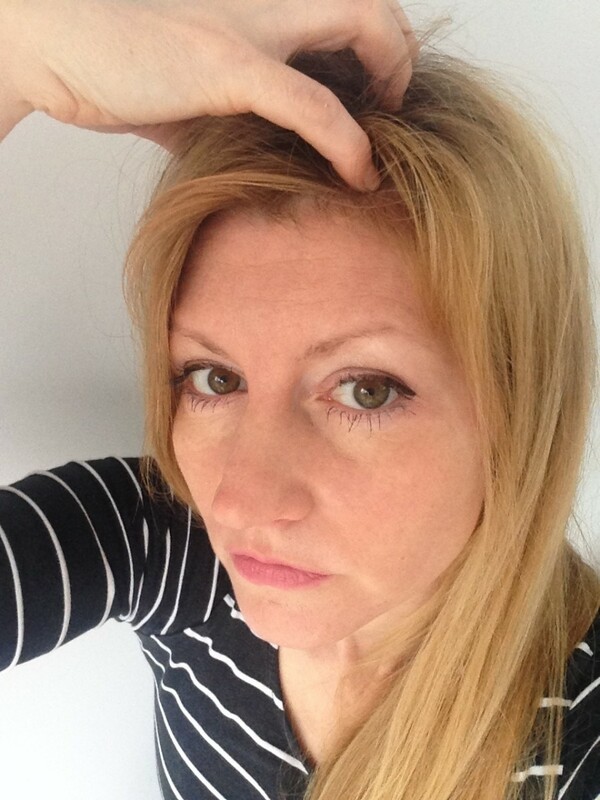 Stress and fatigue may sometimes become triggers for seborrheic dermatitis flares. Seborrheic dermatitis most often occurs in cold weather, and it is not a diet-related skin condition. For starters, understand that a cure for seborrheic dermatitis has yet to be found. The good news, however, is that it is treatable. These days, you can easily get your hands on medicated shampoos, soaps and creams to help control the flaking and rash. Use anti-dandruff shampoo (medicated) when washing your hair. Choose products that contain pyrithione zinc or selenium (use every day), ketoconazole (use twice a week; alternate with regular shampoo), tar, or salicylic acid. These types of shampoos may help in mild cases of dandruff. If you find that one type works for a certain period and then stops becoming effective, you can try using two types of shampoo alternatively. Make sure to let the shampoo remain on your hair and scalp for the entire recommended time to allow the active ingredients to do their job. You can gently rub the shampoos on your ears, face, and chest before completely rinsing off. Try washing your ear and everything around it with medicated soap or shampoo via a washcloth on a daily basis. Wet the area thoroughly first before you start washing using the washcloth so the dry scales are not ripped off unnecessarily. You don't want this to happen as it can lead to infections or skin discoloration. After washing the area, be careful when applying moisturizer to control residual flaking. Thicker moisturizers will stay on the skin much better. You could also try out cosmetics that contain moisturizers. Should dry patches continue to manifest, head to your dermatologist and ask for a medicated cream. Anti-inflammatories like topical steroids should help control dry skin. Avoid itching. If you scratch the area constantly, you'll end up with wounds, pus, or lesions. You must avoid scratching behind your ear altogether, no matter how itchy it gets. Tea tree oil - You can use tea tree oil alone or add it to your shampoo to help in treating seborrheic dermatitis. Fish oil supplements - You can take Omega-3-rich fish oil supplements to alleviate the skin condition. Aloe vera - Consider applying Aloe Vera cream on the affected skin two times a day for a period of 4 to 6 weeks to reduce itching and scaling. Apple cider vinegar - Dilute one cup of this vinegar in ten cups of water, then gently massage into your scalp for a few minutes before rinsing thoroughly. Olive oil - Olive oil is also useful in treating seborrheic dermatitis. Rub olive oil gently on the scalp and let stand for twenty minutes. Doing so will help soften the skin on the affected areas, making it easier to remove the flakes or crusts with a comb. Cleanse the hair by shampooing afterwards, but avoid rubbing your scalp. Baking soda - You can combine baking soda and water to make a paste then massage it into your scalp. Make sure to leave it on for a few minutes before rinsing with water. If your home remedy efforts (including over-the-counter remedies) do nothing to eliminate seborrheic dermatitis, your doctor could suggest various topical prescription treatment combinations that contain desonide and ketoconazole to address your dry skin problem. Aside from that, they could recommend wet dressings to ease down the secretions and eventually reduce the risk of infections. Stronger medication with antifungal shampoo - You can try alternating a Ketoconazole-containing shampoo with a scalp medication with clobetasol. This may be effective in treating seborrheic dermatitis when done twice per week. Inflammation-controlling ointments, creams, or shampoos - You can apply prescription-strength corticosteroids, such as desonide, fluocinolone, or hydrocortisone to the skin affected with seborrheic dermatitis. These products are easy to use and effective, although using them continuously for several weeks or months can thin the skin or cause it to show lines or streaks. Antifungal medication pills - Certain medications for treating seborrheic dermatitis can be taken as pills, but this option is hardly recommended by doctors since they have the potential of causing liver problems, allergic reactions, or other serious side effects. Bacteria-fighting gel or cream - Gels or creams that fight bacteria can be used one to two times a day until there is improvement in your seborrheic dermatitis problems. Try metronidazole, which you can apply both as a gel or cream. Medication with light therapy - In this treatment for seborrheic dermatitis, psoralen (taken orally or applied topically) is combined with photo-chemotherapy. This treatment involves exposing the affected skin to ultraviolet light. It may not be effective in individuals with thick hair. Having dry skin along your outer ear or earlobe could also be due to sunburn. When going to the beach, people usually forget to put sunscreen around the ears, especially on the back of them. The sun's ultraviolet rays burn off the cells of the skin. As this happens, dead cells are peeled away to make room for new skin cells. If you are suffering from dry skin behind your ears due to sunburn, moisturize the whole area using water-based, cooling lotions. It may be best to stay away from heavy moisturizers as they retain the heat. Aloe could also come in handy. Avoiding sunburn is critical. Always apply sunscreen to your earlobes. Just as you would never go out of the house without any sunscreen applied on your face, you should also apply sunscreen around your ears. Consider taking pain relievers. Naproxen, ibuprofen, and other OTC pain medications can help reduce pain, redness and soreness. Add oatmeal to your bath before soaking in it. This is a good way to relieve your itchy, sunburned skin. Add baking soda (two cups) to the bath water to reduce pain and stinging. Infuse your bath with apple cider vinegar (one cup) to promote healing and balance the pH level of your sunburned skin. Pour essential oil (chamomile or lavender) to your bath water – This is great for relieving any stinging and pain sensations. Refrain from adding perfumes to bath water, or using soaps that can potentially dry your sunburn-affected areas. Use hydrocortisone cream, aloe vera gel or lotion, or moisturizer on your sunburned skin. These skin-friendly products can soothe and moisturize. The anesthetic lidocaine can also be found in a number of aloe vera products and is effective in providing sunburn pain relief. Aloe vera itself is actually a great moisturizer to use on peeling skin. Meanwhile, hydrocortisone cream at low doses (0.5 to 1.0 percent) can help in decreasing swelling and pain as well in promoting faster healing. Soothe your sunburned skin with a clean cloth dampened with cool milk (do not use cold milk), which will help ease your discomfort with the protein film it creates. Alternatively, you can apply yogurt to your sunburned skin and get the same results. The antioxidant, Vitamin E, is capable of reducing inflammation associated to sunburn. Simply rub it on the affected areas, especially the ones that are peeling. You can apply this vitamin directly on your skin or take it as a supplement regularly. With a clean cloth, you can also try applying cooled black tea (freshly brewed) to your sunburned skin. Black tea contains tannic acid, which draws heat from the affected skin. For an added cooling effect, you can add some mint. Black tea also is also capable of restoring your skin's pH balance. Make use of cucumber's natural analgesic and antioxidant properties. You can place the cucumbers in the refrigerator to chill, then turn them into a paste by mashing in the blender or food processor. Spread the cucumber paste on the affected areas, especially on those with peeling skin. You can also mash some cooled, previously-boiled potatoes. Use the potato mash to dress your sunburned areas and allow it to draw out heat, reduce pain, and promote faster healing. Soothing your sunburn is also possible by simply forming a cornstarch paste (mix cornstarch with water) and applying it to the sunburned skin. Never break any blisters on your sunburned skin. These serum-containing blisters act as protective layers that help in speeding up the healing process and decreasing your risk of infection. You can use gauze to lightly cover the blisters, if needed. If they do break, make sure to clean the affected area with water and mild soap gently before applying an antibacterial cream then covering it with a dressing (wet). Drink lots of water and other fluids to help your body recover from loss of fluids via the skin due to heat and sun exposure. Gently treat your peeling skin while continuing your moisturizing routine. Avoid further exposing your sunburned skin to the sun's harsh rays. Steer clear of benzocaine and other skin products that have ingredients with "-caine" at the end. They can potentially cause skin irritation or allergic reactions. Itch control medications - These are usually prescribed with pain relief medications. You can apply corticosteroids to the affected skin to control the itch associated with healing skin. Pain relievers. Prescription and over-the-counter pain relievers can control the swelling and pain associated with sunburn. You can get more effective results if you take them right after being exposed to the sun. There are also pain relievers in the form of gels you can try that you can apply directly on your skin. Actinic keratosis refers to the rough, scaly skin patches that develop after being exposed to the sun for many years. This condition usually shows up on the face, ears, lips, scalp, neck, forearms, and back of hands. Years of sunburn can eventually cause actinic keratosis, a scaly and crusty growth. Chronic exposure to the sun causes almost all cases of actinic keratosis. Skin damage due to sun exposure, even for brief periods, all add up. Because seventy to eighty percent of the sun’s UV rays can penetrate the clouds, even cloudy days are not safe. These rays also give you additional exposure as they bounce off reflective surfaces such as snow and sand. The lamps used in tanning salons also give ultraviolet radiation that may pose more danger than the sun’s UV rays, which is why dermatologists tell clients to take caution with indoor tanning. Meanwhile, certain industrial chemicals and extensive X-ray exposure can also cause actinic keratosis. Since this takes years to develop, the condition usually manifests in older adults. Most doctors consider it a serious condition, however, since skin cancer could start from here. Actinic keratosis can be a troublesome skin condition. 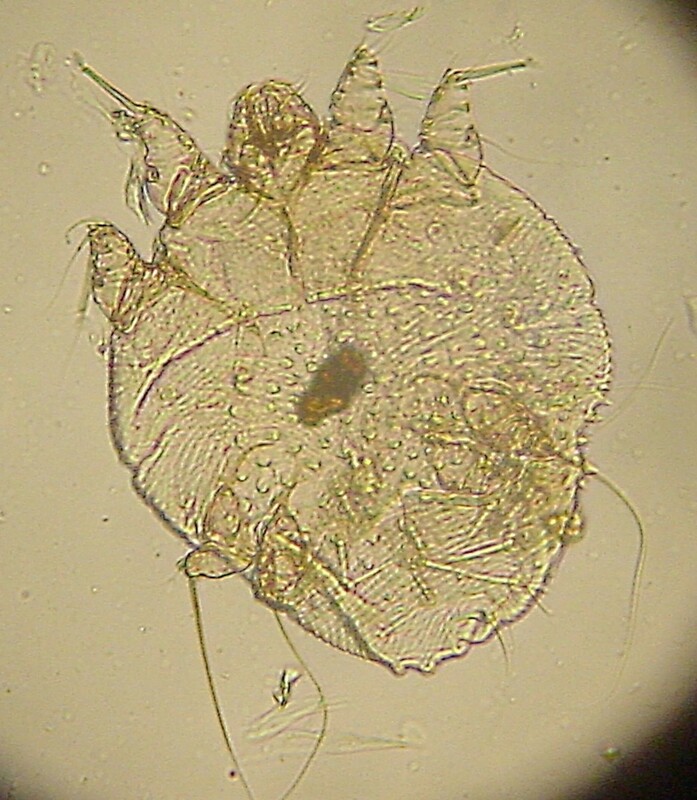 You should absolutely see a dermatologist if you find one ore more keratoses developing. You should follow all of the instructions that your doctor gives you. If you want natural options, some of the following may be of use even though they have not been medically tested. Tell your doctor about all of the treatments that you are trying. Apply virgin coconut oil (organic) regularly onto the affected areas, especially the dry skin behind your ears. This will help in eventually getting rid of the actinic keratosis spots from your face, ears, nose, forehead, neck, and scalp. Your spots may initially appear reddish and you may feel a burning sensation, but these issues should resolve within four weeks. You will find your skin becoming softer as the actinic keratosis spots start to disappear. You can do the coconut oil treatment once daily until the spots vanished. Dip a clean cotton ball in vinegar (apple cider). After ensuring that the cotton is saturated with the apple cider vinegar, put on the surface of the area affected with actinic keratosis and cover with bandage (it should be waterproof and airtight). Leave the bandage on while you sleep and remove the next day. You may notice the bump initially appearing whitish during treatment; within three weeks, the apple cider vinegar's acidic component will have removed the bump. You can use castor oil to reduce the spots and treat the burning and inflammation associated with actinic keratosis. This treatment is more effective if done on a regular basis. Eggplant cream is also used to remedy your actinic keratosis issues. You can easily whip up your own eggplant cream. Mince a medium-size eggplant and place in a clean jar. Pour in apple cider vinegar, making sure the eggplant is fully covered in eggplant. Cover and let stand inside the refrigerator for three days or until the vinegar turns darker in color. You can then dip a cotton swab or ball into the eggplant cream and apply it to your affected spots all throughout the day. See to it that you consume a minimum of five servings of vegetables and fruits daily. Broccoli and citrus fruits are especially abundant in beta-carotene and other antioxidants and vitamin C and selenium. Eating these foods helps ensure your cells' and skin's health. You can give your immune system a boost by taking beans, whole grains, and vegetables every day. Other immune-boosting foods with anti-cancer properties are white fish, green tea, cabbage, grapes, olive oil, tomatoes, garlic, onion, and hot peppers. Medications - In the case of having several actinic keratoses, it would be better to treat the entire area with topical prescription products, such as: Imiquimod cream, Fluorouracil cream, Diclofenac gel, and Ingenol mebutate gel. Photodynamic therapy - This treatment involves the application of a photosynthesizing agent to your affected skin, causing the damaged cells to become sensitive to light. This is followed by a process which exposes your skin to strong laser light so that the damaged skin cells are destroyed. Surgery - One or two actinic keratoses may be removed through surgical procedures upon your doctor's recommendation. There is cryotherapy (freezing), which involves the application of liquid nitrogen or another extremely cold substance to your skin lesions. The skin surface blisters or peels as the liquid nitrogen freezes it. Your skin then undergoes a healing process, after which new skin emerges as your lesions get sloughed off. You may also consider curettage (scraping), a medical procedure that has a surgeon using a curet to remove any damaged cells. This can be followed by another surgical procedure called electrosurgery, which involves cutting and destroying your affected tissue with electric current. If you think you have one or more keratoses, see a doctor for treatment and to have it checked for cancer. Your issue could be a result of your hygiene or environment. Weather is one of the main reasons that skin dries up. The winter period usually brings about very dry conditions, which can lead to dry skin. Central air conditioning or heating can also reduce humidity levels around you, furthering the dryness of your skin since dry air is a common culprit for the appearance of dry skin patches. Poor hygiene can also be a factor if you're not bathing and cleaning your skin regularly. Bathe regularly and moisturize behind your ears. Some allergies can cause dry, itchy, or red skin. It's possible you have an allergy to detergents or other products that you're using at home. Try switching to a mild, fragrance-free soap and laundry detergent. If you are not sure of the cause of your skin allergy, expect your doctor or allergist to perform various allergy tests that determine what environment (or products you are using) is causing such reactions. According to Psoriasis.org, "Psoriasis is an autoimmune disease that causes raised, red, scaly patches to appear on the skin." Usually it affects the elbows, knees, or scalp but it can be found anywhere on the body. Some people say that it is itchy and that it burns or stings. This condition is often associated with other medical ailments, such as depression, heart disease, and diabetes, so if you find that you have a rash that won't go away, you should see a doctor. If you have a kind of psoriasis, doctors will prescribe other medication types to treat it. You can apply ointments and creams alone directly on the affected skin to treat your symptoms effectively, as long as they are mild to moderate. However, for more severe cases of psoriasis, your doctor may recommend combining your creams with light therapy or oral medications. Corticosteroids (topical) - Topical corticosteroids are anti-inflammatory drugs that are effective in treating cases of psoriasis with mild to moderate symptoms. These drugs suppress the body's immune system to reduce the cell turnover rate, resulting in decreased inflammation and itching. It is usually recommended to use topical corticosteroids with low-potency on widespread damaged skin patches as well as the face, skin folds, and other sensitive areas. For small skin areas, for plaques on the hands and feet that do not seem to go away, or when other treatments are unable to treat the affected area, your doctor may suggest the use of stronger corticosteroid ointment. Vitamin D analogues - Synthetic vitamin D is capable of reducing the growth rate of skin cells. For this reason, vitamin D analogues are added to calcipotriene and other prescription solutions or creams that are used in treating mild to moderate cases of psoriasis. Vitamin D analogues are sometimes combined with phototherapy. Anthralin - It is believed that anthralin can normalize the skin cells' DNA function and get rid of scales, making the skin smoother in texture. Retinoids (topical) - Topical retinoids are usually used in sun-damaged skin and acne treatments. However, tazarotene and other derivatives of vitamin A are used in psoriasis treatment because of their ability to regulate the skin cells' activity and reduce inflammation. 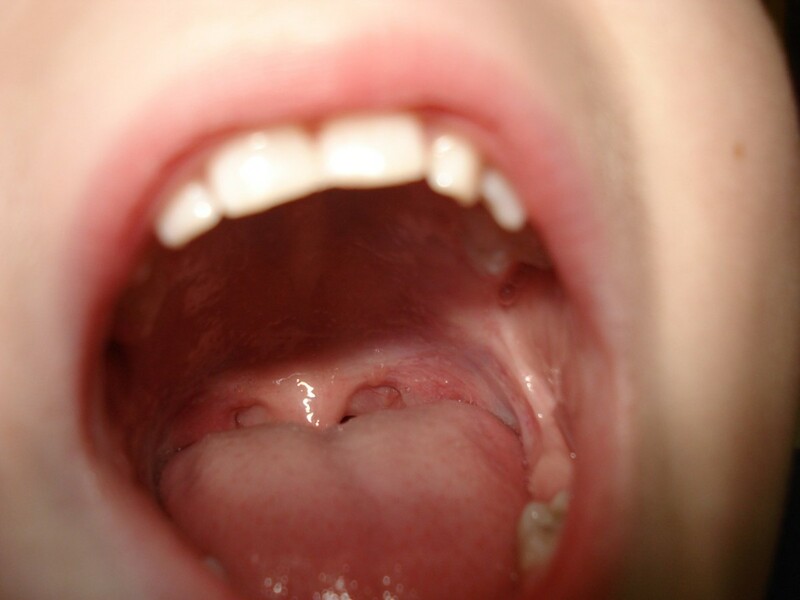 Calcineurin inhibitors - Tacrolimus and pimecrolimus, both of which are calcineurin inhibitors, are believed to help in disrupting T-cell activation and promote decreased plaque buildup and decreased inflammation. This is why they are thought to be effective in atopic dermatitis as well as psoriasis treatments. Salicylic acid - Both the prescription and OTC forms of salicylic acid can help remove dead skin cells and reduce scaling. Salicylic acid is sometimes used along with coal tar, topical corticosteroids, or other medications to make it more effective in treating psoriasis. Coal tar - Coal tar refers to the sticky, black byproduct of the coal and petroleum products manufacturing industry. It is thought of to be the oldest psoriasis treatment and is effective in decreasing inflammation, itching, and scaling. Moisturizers - Moisturizing creams cannot heal psoriasis on their own, although they help in reducing scaling and itching. Moisturizers, especially the ones that are ointment-based, are also effective in combating the dryness that may occur from other psoriasis treatments. Certain medical conditions such as thyroid disorders may also cause dry skin on the outer part of the ear. Eczema, also known as atopic dermatitis, also brings about redness and inflammation in the skin in addition to skin dryness. Folliculitis is the inflammation of the hair follicles around the area in question (in this case behind the ears). It can result in dry skin if left untreated. Practicing good skin care may eliminate your issue. Here are some tips for making sure you're doing everything you can to keep your skin in good condition. Use moisturizer within three minutes of taking a bath or shower to keep moisture in. Using humidifiers is also a good way to retain the humidity in the air around you and treat your dry skin. The medical community also suggests that we take shorter baths and showers. Use water that is not too hot, as it dries out your skin much faster. Some lotions contain chemicals and alcohols that only add to the dryness of your skin. You might be better off using almond, coconut, or castor oil since the skin eventually heals itself. Besides, you won't have to spend much for it. Use hypo-allergenic lotions that are more gentle on your skin. In case of severe dry skin, you need to seek medical attention. Dry skin appears anywhere on our body other than face? "About Psoriasis." (n.d.) Psoriasis.org. Retrieved December 30, 2016. 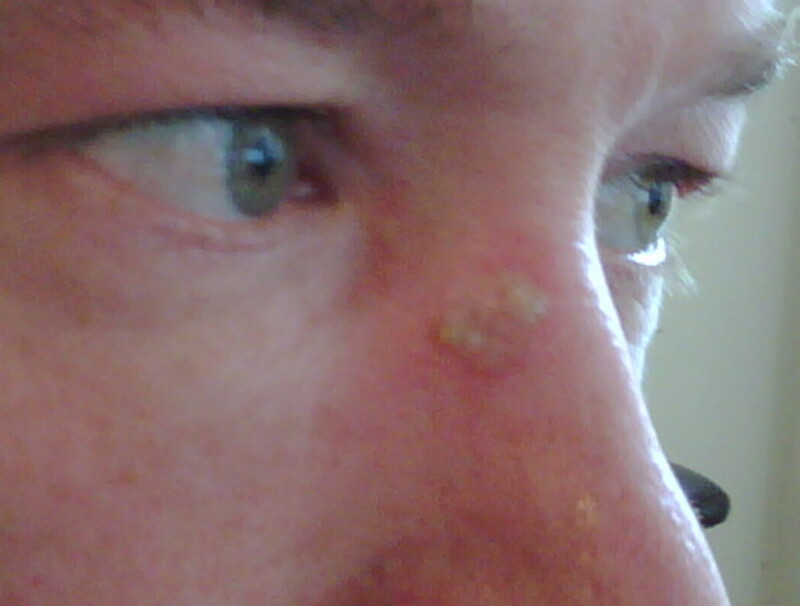 "Actinic Keratosis." (n.d.) Skin Cancer Foundation. Retrieved December 30, 2016. "Seborrheic dermatitis." April 14, 2015. MedlinePlus. Retrieved December 30, 2016. The African Shea Butter, gives temporary relief, but works this week, doesn't work the next. No perfumed products. This was a great hub on dry skin behind our ears. It's useful with informative information on how to deal with it. Voted up!